Mums & Babes Club Members enjoy special price of S$35.90! 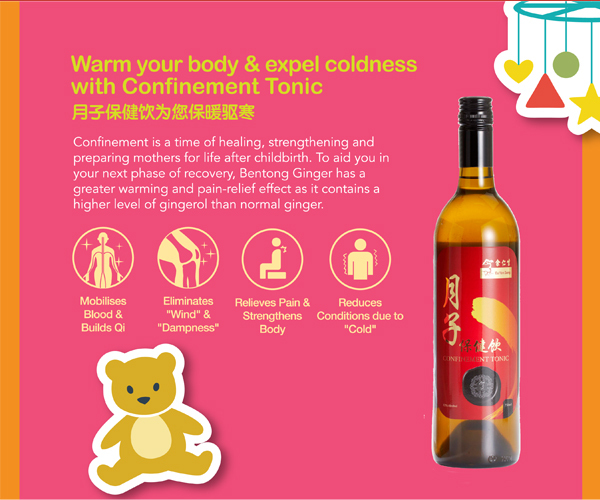 Eu Yan Sang Confinement Tonic is a traditional formula prepared with matured Bentong ginger steeped in glutinous rice wine. It is ideal for post-natal health maintenance and a good complement to post-natal receipes. A woman loses large amounts of Qi and blood during childbirth, putting her body in a "cold" phase. 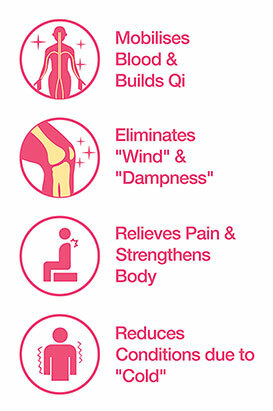 This "cold" phase leads to accumulation of wind in the body and weakens body functions. Eu Yan Sang Confinement Tonic has warming properties. It induces perspiration to expel chill from the body, improves blood circulation and reduces water retention. Eu Yan Sang Confinement Tonic is also able to relieve wind-cold cough and travel sickness. Glutinous rice wine and matured Bentong ginger. 10-30ml at dinner time. Warm water can be added as desired. Store in cool, dry place. Avoid direct sunlight. After opening, consume within 30 days. This product is processed naturally, sediment at the bottom of bottle is a natural occurence.